Today I have the very sweet Savoie Aren't You a Peach. 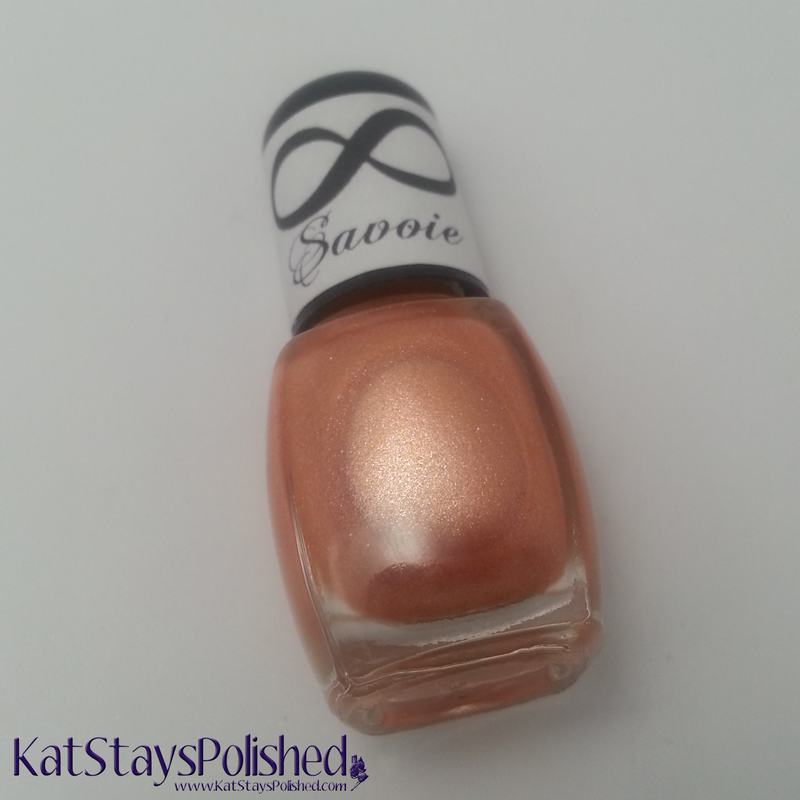 This is a gorgeous peachy shimmery polish that's nice and neutral for anyone. I applied 2 coats and that was enough for me to have the perfect mani! 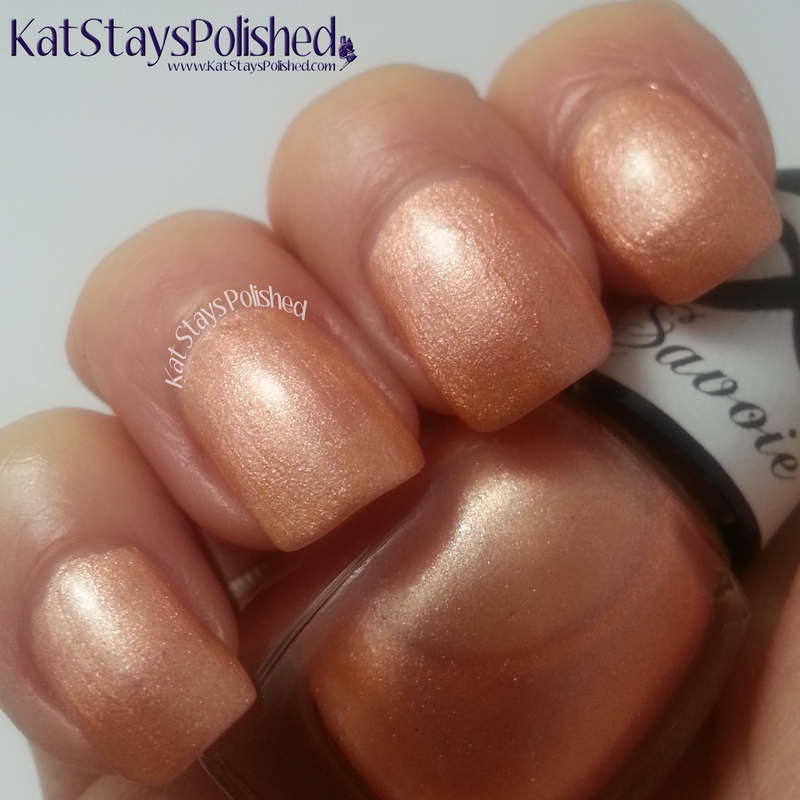 If you're a fan of peachy polish, then definitely check this one out! How do you feel about peach polish? My mom's favorite color is peach so this one kinda speaks to me a little bit. Its a pretty peach shade!